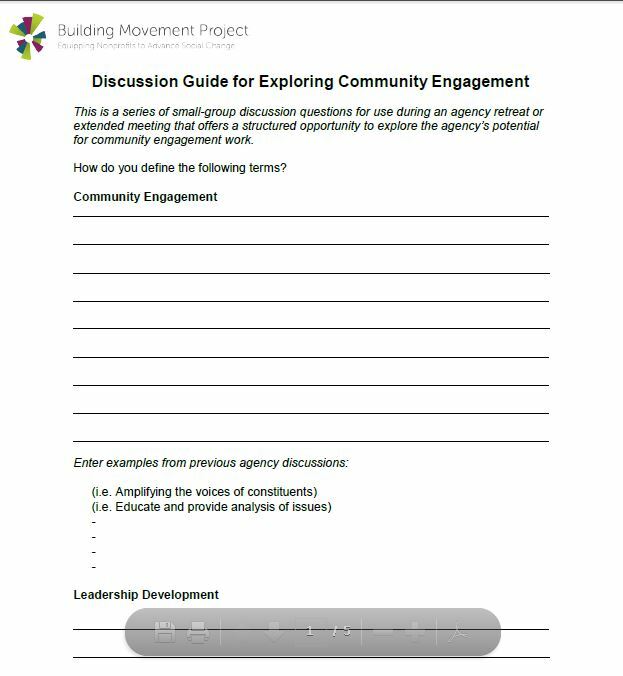 This toolkit provides step-by-step guidance for increasing participation and engaging constituents and community members in a change process. 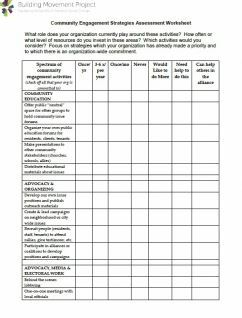 In the Community-Engagement Governance framework, responsibility for governance is shared across the organization, including the organizations key stakeholders: its constituents and community, staff, and the board. 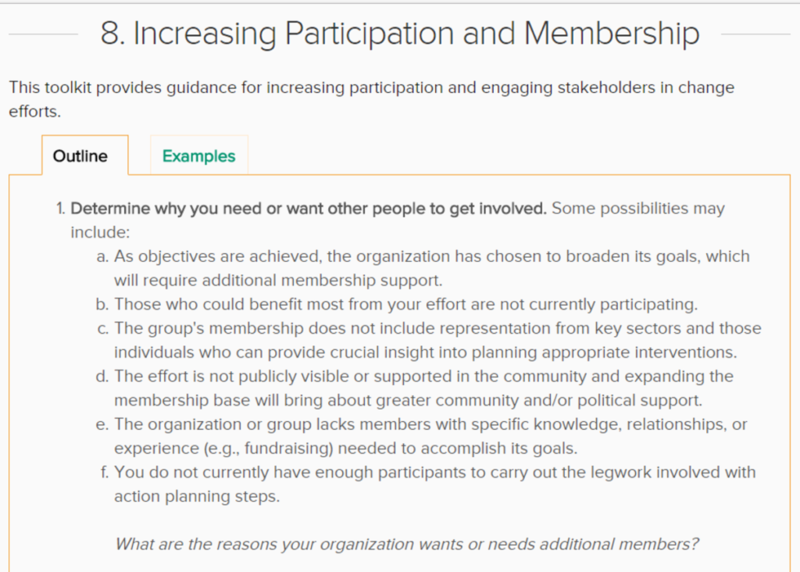 Community-Engagement Governance is based on established principles of participatory democracy, self-determination, genuine partnership, and community-level decision making. It can be explored as a way to ensure that engagement is integrated into daily practice. The Kettering Foundation hosted the Community Democracy Workshop that explored issues relating to community collaboration. 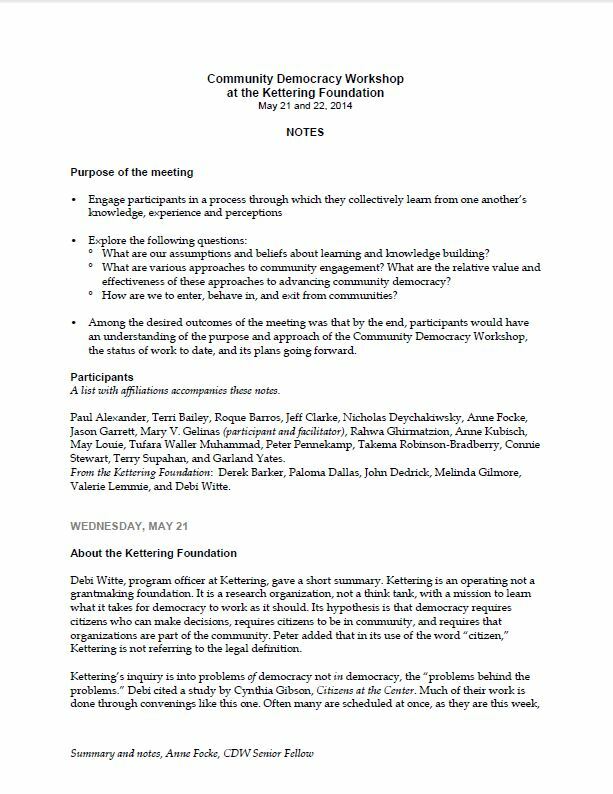 Included were: assumptions and beliefs about learning and knowledge building; the various approaches to community engagement; and, the relative value and effectiveness of these approaches to advancing community democracy. These notes from the meeting provide a structure for delving into these issues and can be adapted for working with any organization. This article presents models for governance by stakeholders in contrast to traditional board model. 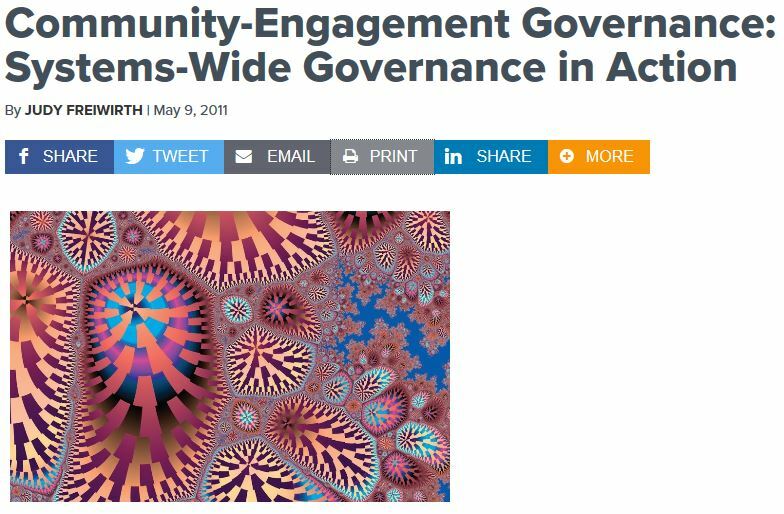 In the Community-Engagement Governance framework, responsibility for governance is shared across the organization, including the organizations key stakeholders: its constituents and community, staff, and the board. 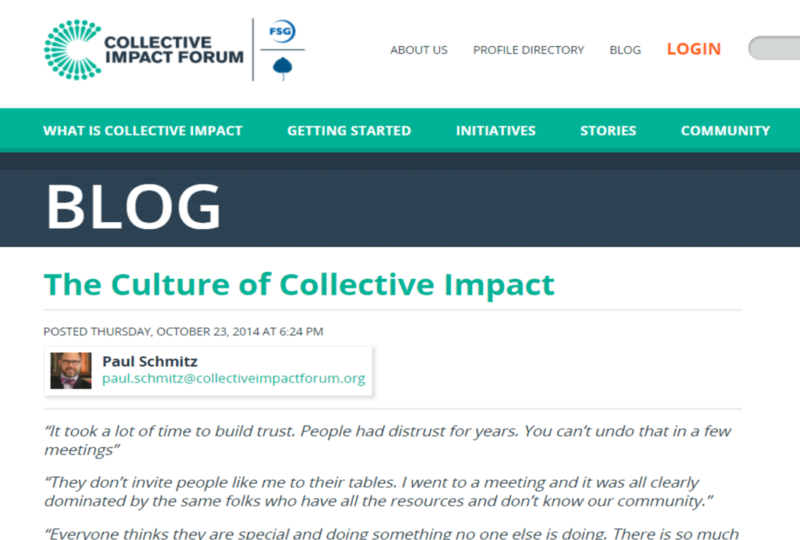 Community-Engagement Governance is based on established principles of participatory democracy, self-determination, genuine partnership, and community-level decision making. It can be explored as a way to ensure that engagement is integrated into daily practice.